On Tuesday, Halifax Council will — once again — ponder the question: how many firefighters does it take to make our city safe? What kind, and in what combinations? Permanent? Volunteer? Where should firefighters and their equipment be located? And — perhaps most important — how much are we willing to pay? The answers matter — potentially in a life-and-death way — but there is no simple yes-no answer to any of them. 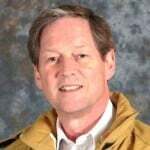 Is it about what Fire Chief Doug Trussler calls “reallocating resources to better match our risk,” or is it, as Dartmouth councillor Gloria McCluskey would have it, about having a fire service that makes citizens “feel safe”? Last spring, councillors instinctively said no to Trussler’s “best professional advice,” and refused to shutter three urban fire stations — in north end Halifax, downtown Dartmouth and Sackville — and four rural ones he claimed were redundant and whose residents could be better served from neighbouring stations. At the time, Trussler said council’s no vote would force him to hire 59 new firefighters and cost the city an additional $6 million. In November, he returned with a new, slightly modified proposal to staff two of the urban stations with full-timers during the day and volunteers nights and weekends, and turn the Sackville station into an all-volunteer service. The trade-off: moving 40 firefighters to areas he says need them more, and allowing aerial trucks in Dartmouth and Halifax to each be fully staffed. The complications: the fire service hasn’t been able to recruit enough volunteers to fill the slots now available, and volunteers traditionally take longer to get to fires. More generally but as significantly, we have developed understandable distrust of public officials and corporate spokespeople who tell us we can do better with less when the opposite is usually true. Which may explain why more than 175 people showed up at a Dartmouth community meeting last week to vent their opposition to the idea. The issues are multi-dimensional — urbanization, expanding suburbs, national response time standards, changing technology, evolving data collection, economic trade-offs — and the discussion needs to be multi-dimensional too. Are councillors up to that challenge? We shall see Tuesday. Correction and update: Tim Rissesco, one of the organizers of last week’s community meeting says Fire Chief Trussler was indeed invited to the event. The story has since been corrected. In response to the concern raised in downtown Dartmouth regarding the proposed changes to the King Street Fire Station, the Downtown Dartmouth Business Commission is organizing a public meeting on Wednesday, January 6th at 7pm at Alderney Landing to give people an opportunity to share their concerns. 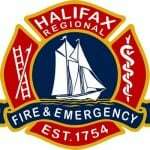 It would be useful to have a presentation from the Halifax Regional Fire and Emergency Services at this meeting, if you are able to attend, please let me know.